The Premier League is home to some of the best talents in the world. But no matter how promising these talents are, sometimes they can't fulfill the potential they possess. 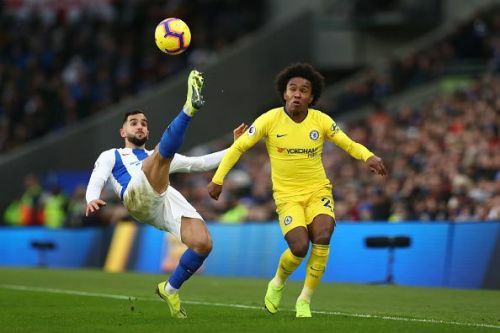 While this season there have been several cases of pleasant surprises, with outstanding performances from new players such as David Brooks from Bournemouth or Aaron Wan-Bissaka from Crystal Palace, there have also been cases of players who couldn't ace the expectations the team had from them. This unsurprisingly has caused them to be benched or being in line for a move out of the club in the upcoming winter transfer window. Here we look at all the players who've been underperforming this season. Mkhitaryan picked up his form in the second half of last season, performing comparatively better than the Mkhitaryan everyone saw land in England. This gave Arsenal fans some hope, hoping to see the revived Mkhitaryan relive the partnership that he enjoyed with Aubameyang in Dortmund. However, that hasn't been the case so far this season. Mkhitaryan has continued his dismal performance that we saw in the Manchester United jersey. So far in the 2018-19 season, Mkhitaryan has produced only average performances. Barely exerting any impact on the game, he hasn't been able to be creatively involved and has already wasted a number of monumental chances. Even though his poor run of performances has continued, the Gunners manager has preferred to start him over Ozil. That's primarily because of his work rate, and because he complements the three-man defense that Emery has been forced to play due to the injury crisis that Arsenal have been facing in the defense department. 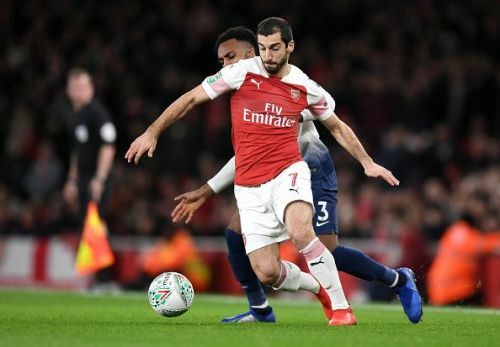 With the January transfer window right around the corner, Arsenal would love to reinforce their attack with a winger, which would also replace Mkhitaryan.